I love it when pieces of history suddenly reappear. This may mean a brochure to a long-gone hotel, a matchbook to a past restaurant, or even a pennant to an old attraction. The longer these places are gone, the harder memories are to find. This is particularly true with a beloved Greensburg icon — Greengate Mall. 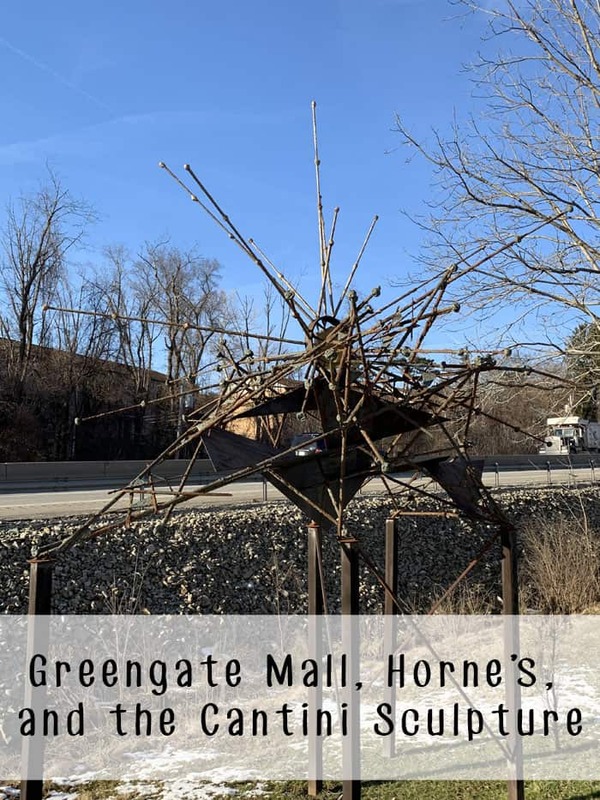 Greensburg’s first enclosed mall, Greengate, was opened in 1965 with three anchor tenants including Horne’s. The mall began running into difficulties in the early 1990s when J.C.Penny left the mall to join Westmoreland Mall across town. The problems continued to mount with the sale of Horne’s. 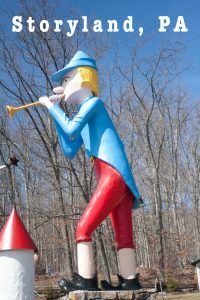 Horne’s took on the name of its new company, Lazarus, and continued operations for another two years before closing permanently. No other retailer ever occupied the space and in 2001 the entire mall closed. When plans to reuse the mall fell through, the mall was eventually torn down to make way for a shopping plaza. 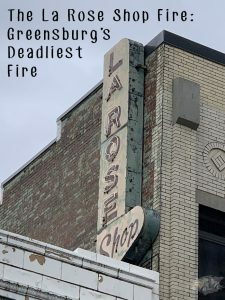 Sometime between when Horne’s/Lazarus store closed and when the mall was demolished a salvage company, commissioned in 1960’s, was brought in to remove the store’s fixtures. This included a sculpture by the late Virgil David Cantini. Cantini is a nationally-recognized artist from Pittsburgh. He’s designed many pieces in Pittsburgh including the iconic “Man” sculpture on the front of Pitt’s Parran Hall. The Greengate Mall piece consists of 250 brass-covered rods protruding from a glass ball with seven triangular plates. It had formally hung in a escalator well in the Horne’s store. 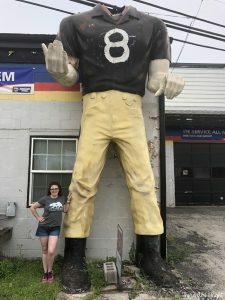 Dale Middleman, owner of used store fixtures, Inc., discovered the piece in a building he purchased from the Duquesne University Tamburitzans. Recognizing the significance of the Cantini piece, Middleman decided to sale it. 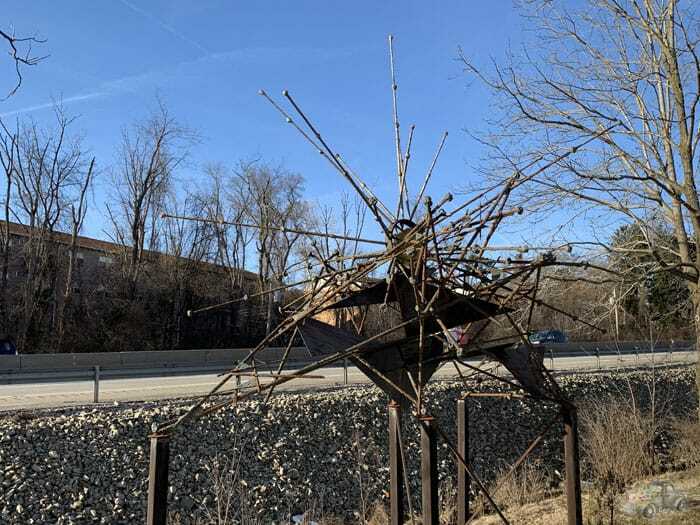 As fate would have it, the president of the Greensburg Art Club called Middleman to inquire about selling some furniture, the conversation turned to the Cantini Sculpture. Middleman decided to donate the sculpture to the art club. 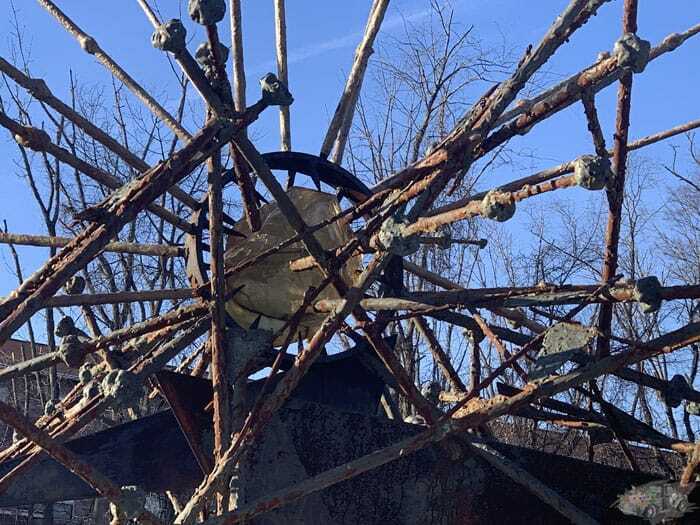 Eventually the Greensburg Art Club raised the necessary funds to refurbish the sculpture and build a structure on which to display it. 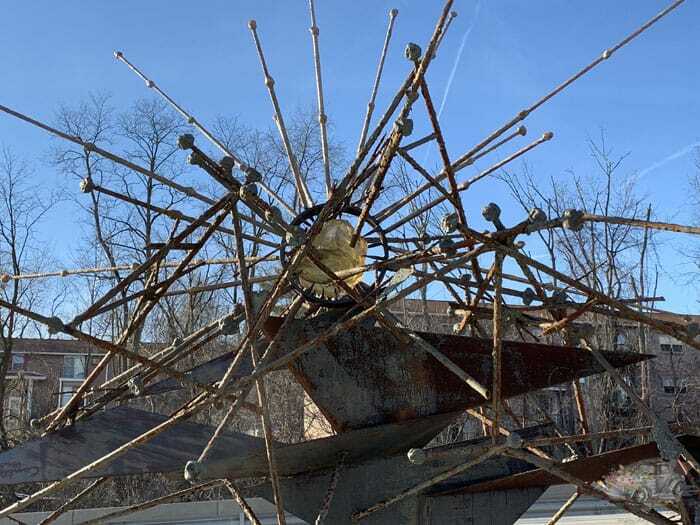 The sculpture now has a permanent home outside the Greensburg Art Center’s building, situated alongside Route 30, the sculpture that once hung in Greengate Mall is now back in Greensburg.